Sellers: Listen To Your Inner Buyer! There is a wealth of buying knowledge in most sales organisations, indeed in most salespeople. The only problem is that it is not being leveraged to boost sales success. This article provides some tips on how to leverage your own buying smarts, as well as those of your organisation. Most sellers will unashamedly admit that the know more about selling, than buying. That is to say they know more about their sales process than the buying process, or their sales proposition, rather than the buyer’s business case. Buying isn’t rocket science. 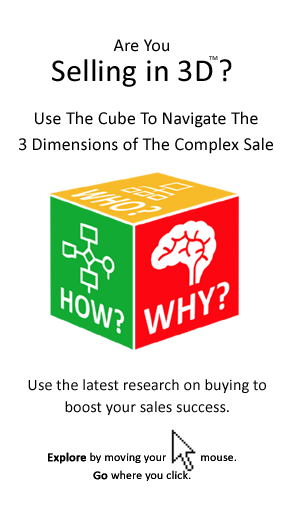 It’s complexities are not beyond the grasp of salespeople – not by a long way! Indeed sellers can easily read the mind of the buyer. They can see into the logic of the buying decision. First we asked ‘What is the best way to increase profit by 250,000 in a 2, 5, or 10 million turnover organisation (with a net margin of 10%)?’ ‘Cut costs’, or ‘reduce spending’ were the immediate responses voiced, to the nodding approval of the assembled group of sellers. One member of the group added in a matter-of-fact manner, that savings went straight to the bottom line and that it would probably be easier to get 250,000 in savings that 10 times that figure in sales. As the answers above show, the strategies that so frustrate and annoy sellers shouldn’t really come as any surprise. Yet, they continue to throw sellers off their guard. Is it that sellers are in denial? Is it more convenient for sellers to deny their own knowledge and experience of buying, than to be forced to address the challenges it presents to how they sell? Well, ask sellers about their own experience in making important buying decisions and there is further evidence that sellers know a lot more about buying than they admit, or perhaps even realize. Everybody has experience of buying – that is to say most of us have made lots of purchases big, as well as small. Even if we have not been involved in buying at work we have, in a personal capacity, made major purchase decisions, be that for a car, or a house. This direct experience of buying can and should be an advantage. Having walked a mile in the buyer’s shoes (so to speak) should enable the seller to relate better to the buyer and his/her needs, as well to better appreciate their approach to making the decision. Sellers can understand their customers and prospects by reference to your own buying (you will find an article on that subject here), or more to the point the buying of your organisations. They need simply ask ‘what would/did I, or we, do in the same situation?’ This can help understand and predict the buyer, it can also lead to greater patience and forbearance. Sellers Too Can Be Tough Customers! When we talk to sales teams they often admit that sales organisations themselves can be the toughest of customers. In a classic case of double standards a large sales team recently complained about the demands of dealing with more demanding buyers, while at the same time joking that their own organisation was ‘a nightmare for other sellers to deal with’. They are likely to have employed all the tactics of the buyer, perhaps even a little subterfuge, or deceit. To get the best deal they will no doubt have tried to outwit a salesperson. So, how can sellers complain when they are on the receiving end? The procurement professionals in any organisation can be a vital source of knowledge and assistance to salespeople. Yet, this does not happen in most sales organisations. 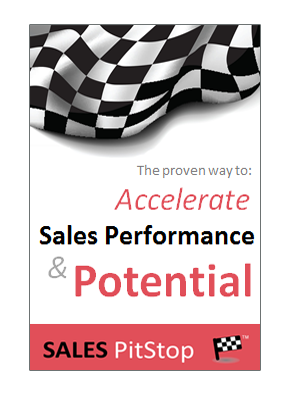 Over the course of time a sales team will gain exposure to every buying situation. That is of course if past looses and wins are viewed through the lens of the buyer, as opposed to the seller. Each deal, whether it is won, or lost, provides a valuable insight to the motivations, as well as the logic and the process, of the buyer. Here are some questions that are useful in leveraging the four types of intrinsic buyer knowledge. 1. What were the steps – that I followed/would follow, our organisation followed/would follow, procurement in our company routinely follows, or were followed by the buyer in that particular opportunity – the information requirements at each stage, the key sign-off points and so on? This is what we call Buying Process. 2. What were the key factors in the decision, in particular the underlying business motivation for the decision? This is what we call buying logic, or the Business Case? 3. Who was involved in making, or shaping the decision and what were their various motivations? That is what we call the Buying Team. Accessing our inner buyer wisdom has the potential to considerably enhance sales success. It breaks down the ‘them-and-us’ divide that often exists between sellers and buyers and facilitates greater communication and respect. A greater appreciation of how buying really happens, inevitably means less frustration among sellers, as well as fewer shocks and surprises. It is a vital aid to more effective pre-qualification, as well as to more accurate forecasting of what deals will close and when. Last but not least looking within to understand the modern buyer is key to developing greater levels of buyer empathy and that really has the power to sell.